EFL Teaching Blog | Teach Overseas Blog | Life After Teaching Overseas: What Do I Do Now? Life After Teaching Overseas: What Do I Do Now? Maybe you've always wanted to travel or to teach abroad, to work with children, learn a new language or experience a new culture... or maybe it was all about the timing. Opportunity knocked and you opened the door. Regardless of ho you got there, you have spent the last two (or more) years making a home for yourself, immersing yourself in a new culture, and building relationships with your students and fellow teachers... and now it's all coming to an end. Your contract is up and you don't know what to do next? There are a few things you could do, but where are you supposed to begin? Now that you have the experience, why not put your talents to good use? 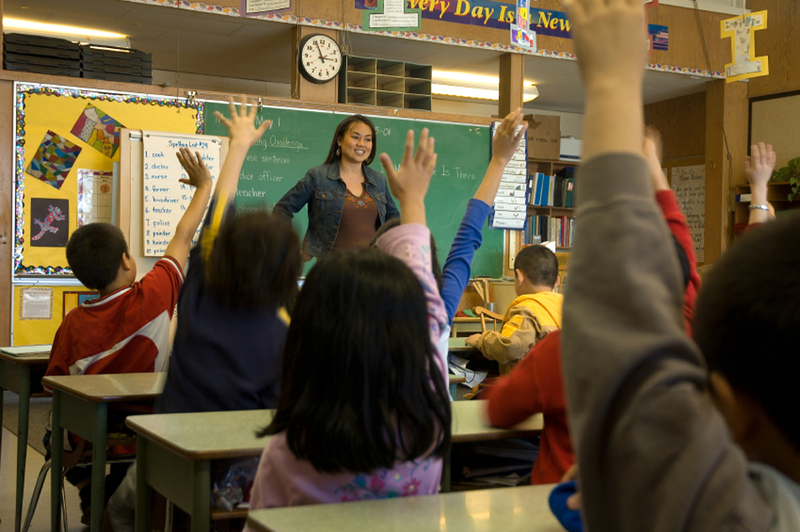 Many teachers pursue careers in teaching after they have completed their time abroad. For those not certified, transition to teach programs allow you to gain experience while working towards your certification. Depending on where you have worked, you may even be ESL certified which affords you a plethora of opportunities back in the states. If you are looking to work with kids, but want to take a step back from being the lead teacher you could co-teach or work as a paraprofessional in the classroom. Another option that is not often considered is asking the group you are with for an extension on your contract, or enquiring about staying on under a different position. You have moved away from home, and made a life for yourself, so why wouldn't you want to find a way to stay? While you may have to reapply, or jump through a few hoops, the ability to stay and continue working with your students often helps to entice ESL teachers to stay. Related positions are great, especially if you love the cause or the people, but teaching just doesn't fulfill you like you'd thought. There are plenty of other positions: recruiting, marketing, financials, etc. that could allow you to stay abroad, but wouldn't require you to teach. If you are interested in something like this, it is definitely worth mentioning to your supervisor and learning more. Often times, many teachers whom have worked abroad find a new passion in the work they've done. Some go on to be lawyers, others into health and medicine, etc. The public works sector is always looking for concerned peoples with experience working in diverse areas. If your initial degree isn't in one of these fields, why not go back? Some companies will help pay for you to go back to school, while some schools place special preference on students whom have devoted their time to certain organizations. Individuals who have taught abroad are desirable candidates for higher level learning because they know these individuals are hard workers and will positively represent their schools. Another option, depending on how long you have been immersed in the language and how much you know of it, would be to be a translator. Whether working for schools or businesses, acting as a translator is a desirable position. Translation opens the business to more customers and makes it more accessible overall. And, while some of these require you to be on the job in person, others can be done from home: meaning, you could work abroad or move back. Many teachers who have worked abroad find it difficult to transition back to their "regular" life. They feel as though they have become disconnected from their family and friends and are unsure of what to do next. This can be a scare time for some, but there is much to be gained from your experience. You are now more experienced in the work force and social realms, and can be considered someone with international connections. Your understanding of other cultures makes you more desirable to many companies and will afford you a variety of different jobs. Many businesses offer a variety of entry-level jobs where you can quickly advance thanks to the skills and training you received abroad. Organizing, working with diverse populations, enhanced communication skills, etc. are all desirable skills in the workplace. Many organizations also provide a form of networking because they know the quality of person that the organization works with. This networking is beyond ideal since it allows you to gain access to jobs high in demand and may be able to help you to quickly move up within the company. Much like graduating for the first time, the world is at your feet. You could take this time to travel and discover who you are and what you want out of life. The world is literally at your feet - why rush back to something that you're unsure of? Or, maybe that is your greatest adventure yet. While your time abroad has given you many memories and taught you many things, your experience overall has equipped you with all you need to begin this new venture of your life.